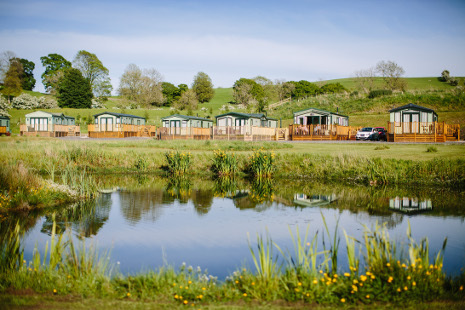 Larkrigg Hall Caravan Park is a spacious, exclusive development for 12 privately owned static caravans, sited on generously sized pitches, set in a quiet countryside location on a traditional working farm just one mile off the beaten track. Larkrigg Hall Caravan Park is located on the edge of the English Lake District, very close to the lovely village of Natland with its corner shop, post office and church. The market town of Kendal is just two miles away offering the bigger stores, banks etc. Nestled in a natural basin, sheltered, but with open views to Scout Scar the focal point of the park is a fantastic Wildlife Pond with quiet tranquil seating areas in which to relax, unwind and just be. 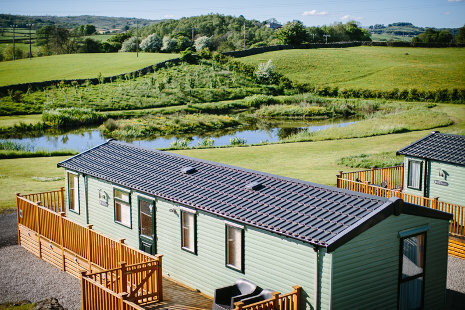 Larkrigg Hall Caravan Park is in the heart of South Lakeland on the edge of the Lake District National Park making it an ideal base for walking, cycling or touring the Lake District and Cumbria. 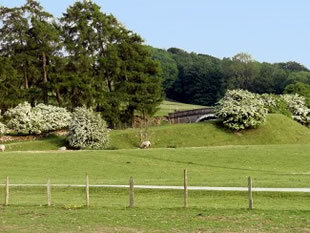 Being close to the fabulous river Kent the park offers wonderful woodland and river walks on the doorstep. 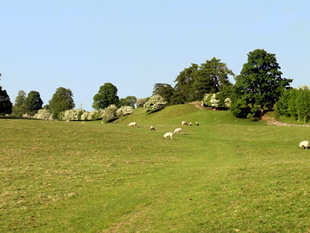 Larkrigg Hall Caravan Park is exclusively for Static Caravan Owners and their families and friends. There are no residential owners as all our customers already have a main residence. This coupled with no subletting allows for a very special atmosphere to be created on the park. 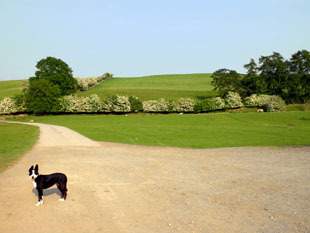 Larkrigg is a Dog Friendly Caravan Park. Well behaved dogs on leads are allowed and must be supervised at all times by their owners.